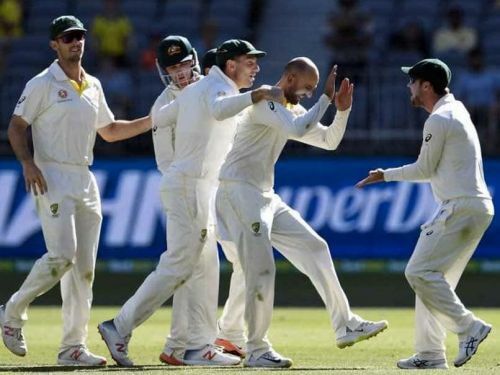 Australia defeated India convincingly in the Perth Test to level the series at 1-1. They now head to Melbourne, for the third and potentially decisive fixture. The Boxing Day Test in Melbourne is a special feature in Australian cricket, and both the teams will be looking forward to the match. India have traditionally not done very well in Melbourne, and would have to raise their game considerably if they are to win the Test. Australia, on the other hand would want to go for the kill and try to force a victory to go ahead in the series. The Australian top order batsmen had struggled in the first Test, but came back strongly in the second match. However, their middle order continued showing signs of problems and they would want to address that issue. India too, would try to put their batting woes behind thems and perform better in Melbourne. The 32-year-old Khawaja has been around for quite a few years now, but his Test batting average is still only a shade above 40. He has tried to take over the mantle of the No. 3 batsman from Ricky Ponting, but has not been able to do justice to his talent so far. However, he looked good in the second innings in Perth, making 74 valuable runs. He continues to have the best batting technique in this Australian squad, and would like to capitalize on his good form in the next couple of matches. Khawaja usually does not stretch his front foot too far forward, preferring to stay on the backfoot while a delivery is bowled. He also does not put his front foot across frequently, which means that he is vulnerable against a right arm bowler bowling from round the wicket. If he can address this issue and leave the deliveries bowled outside the line of off-stump well by extending his front foot across, he is likely to play a big innings again. He is also strong on the off side with his cover drives and cut shots. If Khawaja plays a big innings again, Australia would be hard to stop.